Meet your guide in hotel lobby. Transfer to Sergiev Posad. 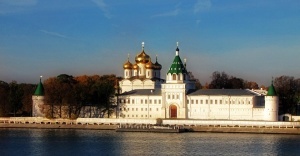 Sightseeing tour at the Trinity-Sergius Lavra. The Trinity Monastery of St. Sergius was founded in the early 14th century by one of the most venerated saints of Russia St. Sergius. Lunch at the local restaurant. 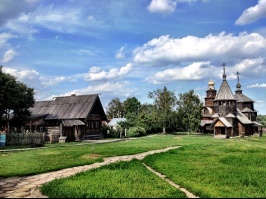 In the morning we will spend a few more hours in Suzdal enjoying the quite provincial atmosphere amids a blue river, wooden houses, and picturesque meadows. Suzdal is a small town on the left bank of the river called Kamenka. It is often refered to as a town-museum due to its well preserved original appearance and many ancient art, architecture and historical monuments. 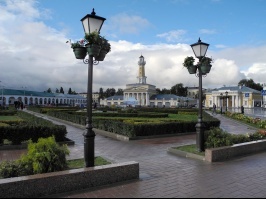 It is one of Russian oldest cities dating back to 1024. 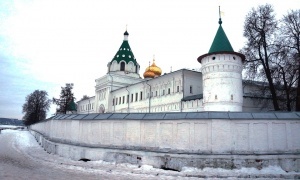 Among its cultural landmarks are the ancient Kremlin, the Intercession Convent (famous for being an exile to to many noble women including the first wife of Peter the Great and Ivan the Terrible's mother. We will also visit the Museum of Wooden Architecture. 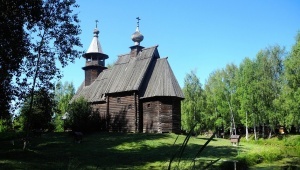 In the afternoon we continue to Bogolyubovo, known for its ancient Pokrova-on-the-Nerl Church of the 12-century located on the Nerl river. It takes about 15 minute walk the church and 15 minutes to walk back. Our next destination is Vladimir. Vladimir was founded in the early 12th century on a bluff over the Klyazma River when Prince Andrei Bogolyubsky moved his capital from Kyiv. This was 1169, the beginning of Vladimir's Golden Age. The area is renowned for many beautifully carved white-stone buildings built at that time. It is after a Mongol invasion devastated the town in 1238, Moscow became the capital of Russia. 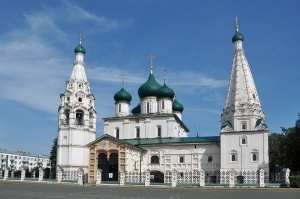 Vladimir’s three main monuments are on the UNESCO World Heritage List: the magnificent five-domed Assumption Cathedral, the Cathedral of St. Dmitry, and the Golden Gate. You will see all three of them before returning back to Suzdal.